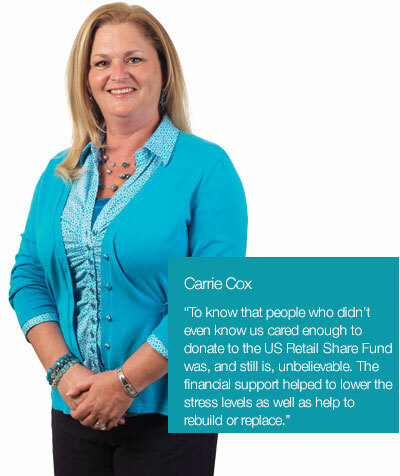 Staples Share Fund, founded and funded by associate and corporate contributions, offers relief for associates in need of severe financial assistance due to significant qualifying events such as: natural disasters, catastrophic personal events or other circumstances beyond their control. All current, full-time and part-time US Staples associates are welcome to apply. Our associates and their well being are extremely important to us, and that's why we do our very best to respond to and fulfill grant requests promptly. We’re here to help in your time of need. If you’re a US Staples associate who has experienced a significant qualifying event and are facing severe financial hardship, the Staples Share Fund can help.